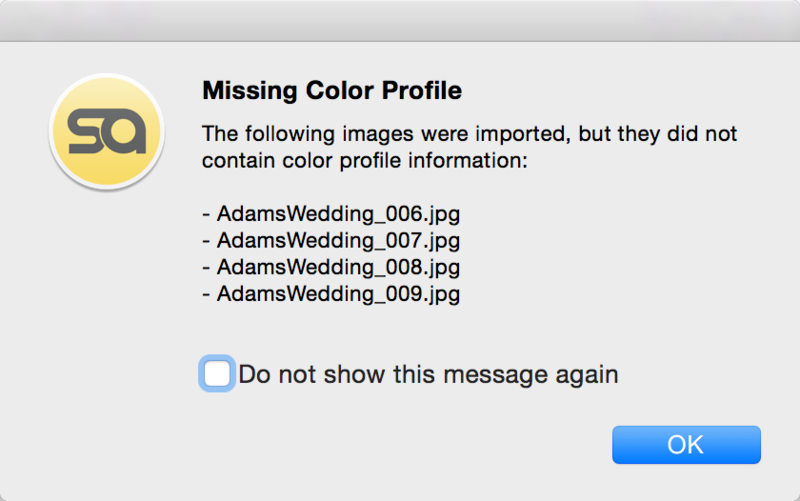 Error message: "Missing Color Profile"
If your images are in sRGB color profile, but simply do not have the color profile "tag" embedded, you can continue building the album as usual. 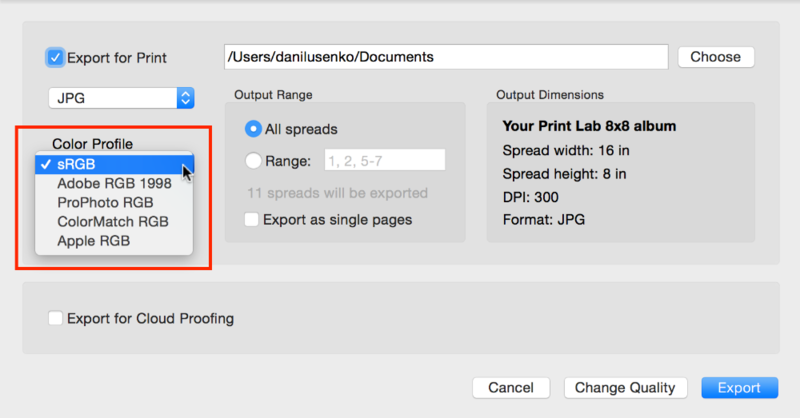 When you export the spreads, Pixellu SmartAlbums 2 will assume that the images are in sRGB. When exporting, you can choose the color profile of the exported spreads. If the color profile of the images does not match the chosen export color profile, the images will be converted to the export color profile. If your images are in a different color profile from what your album company requires, or you simply don't know the color profile of the images, it is recommended that you assign a proper color profile to your images. You can do this in many external programs, including Adobe Photoshop and Adobe Lightroom. Open the images that do not contain color profile information. Go to Edit > Assign Profile.... and assign the proper color profile. If you are unsure which color profile the image is in, you can instead go to Edit > Convert to Profile... and convert to a desired profile. Import the images that do not contain color profile information. Export from Lightroom, selecting the proper profile in the Color Space dropdown of the Export window.